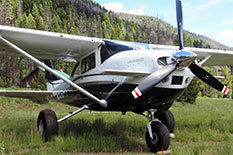 I was looking for the safest backcountry aircraft available and found it in the Katmai. The IO-550 brings power and the canard and long wings bring slow speed performance and excellent visibility (low pitch angle) at critical phases of flight – this combination makes for an optimal high altitude mountain aircraft. In the Katmai, I not only got the safety that I wanted in a backcountry plane, I also got a very high quality product. Todd and Jo Peterson build quality aircraft and their attention to detail is outstanding. In addition to receiving a superior design and quality product, it was also important to me to work with a reputable business having the highest standards for honesty and integrity. Todd and Jo exceeded my expectations in that regard; it was a great pleasure to work with them throughout the process. 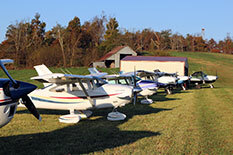 In the last 30 years I have owned 4 airplanes. I now own my last one, the Kenai by Peterson. 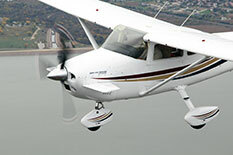 I have the comfort of a Cessna 182 with articulating seats, the latest ADSB avionics and great useful load. My Kenai (the second one ever) flys at 152kt per hour at 15GPH!! I have taken off in less than 300 ft. and climbed at 1500 fpm, it is simply amazing! This will be my last airplane, I can afford it, I can afford to fly it and I can fly it from my own 1200 ft airstrip safely. I just wanted to take a moment and send a quick thank you out to both of you! I am thanking you for developing and building the king katmai! As you know our family owns and operates a 23,000 acre cattle ranch In northern wyoming. We have over 20 miles of water pipeline, over 40 water troughs, and cattle scattered throughout the entire ranch. As you can imagine keeping Water available for cattle to drink is the number one priority on this high desert outfit. In a vehicle the "water checking" loop takes approximately 5 hours. Everyday. During the winter we can't even check water by vehicle sometimes. In the King Katmai the same loop takes 15 minutes! And at the same time I am looking over the placement of livestock! The King Katmai cuts an employee out of the equation. Also, the ranch is a 2 hour drive to Sheridan. Thirty miles of the drive is on tire eating gravel. In the King Katmai I can take off the 1900 foot ranch strip (leaving tons of left over strip below me)with my wife, son, and parts that need to be fixed and land 15 minutes later in KSHR! The time saved is incredible! It makes life very nice! And this can happen no matter what the conditions.. 6000foot density altitudes in the summer. Or with six inches of snow on the strip In the winter. The King Katmai has the power to get us off the ground safely and reliably every time! On top of all the time saving benefits. I just love flying the King Katmai! Jumping in right now to check water! Adios. I owned Peterson 260se/stol and Katmai aircraft for 13 years and ~1400 flight hours. In my opinion the Peterson family of aircraft are the most versatile and safest single engine airplanes available. The proven, robust 182 airframe, together with the engine upgrades and aerodynamic enhancements offered by Peterson's Performance Plus make an outstanding aircraft for both backcountry fun and fast, efficient, comfortable cross-country travel. The Petersons do not exaggerate performance claims; if anything such claims are understated in my experience. 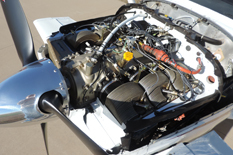 Their attention to detail and quality of workmanship, from acquisition of an airframe through the finished product really stand out in the General Aviation marketplace. Owners whom I know also agree that support after the sale has been excellent, whether you are a first-time aircraft owner like me or more experienced. You can't go wrong owning and flying one of Todd and Jo's airplanes. I am so happy that I bought my 260se! I have great peace of mind knowing that this is the safest cross country plane out there. With it's super slow stall speed, excellent climb performance and enhanced cruise speed, this plane has the best of both worlds. It performs like a bush plane yet cruises around 150 knots. I would also like to point out that the level of customer service and support that the Petersons have shown me is nothing short of excellent! Today was my first day in the Idaho backcountry. OMG! Can't tell you how much fun I had, learning I gained, and how damn impressed I am with the aircraft! New Meadow, Ski Line, Johnson Creek, Landmark, Sulphur Creek, Thomas Creek, Indian Creek, Mahoney, Lower Loon, "the place you haven't been", Reed, and then back to McCall. I know that this is the junior stuff, but before this instruction (that allows me to safely see what this aircraft is capable of and learn the backcountry), I had no idea! Fun stuff! I want to thank you and Todd for the hard work you put into brokering my airplane. I will always remember both of you and my 260SE. I am left with many many fond memories of N97661 and the accomplishments I was able to achieve flying it. As Commander of the Imperial County Sheriff's AeroSquadron for seven years, I have flown many Search & Rescue Missions in N97661 and many people are alive today because of that airplane and what it is able to do. I really cannot put into words how happy I am with my King Katmai. The high summertime density altitudes that we have here in Wyoming really don't seem to affect performance much if at all....it really is amazing! I will be back home in Sheridan in two weeks and look forward to running LOP as the Hobbs is showing 49 hours. Most importantly, I want to thank you both for your hospitality while I was in El Dorado learning how to fly the Katmai. You are two very special people! Your generosity was way over and above what I expected....I can't thank you enough.